TN MRB Nurse Recruitment 2019 – Medical Services Recruitment Board (MSRB) has extended the last date for doing the registration for Nurses post. Now the candidates can submit the form till March 13, 2019. TN MRB Nurses and Nurses (Sick Newborn Care Unit) 2019 Examination will be held on June 26, 2019, and June 09, 2019 respectively. The application form for Nurses and Nurses (Sick Newborn Care Unit) post released on February 07, 2019, and February 06, 2019, respectively at mrb.tn.gov.in. The candidates applying for the post of Nurses (Sick Newborn Care Unit) can apply until February 26, 2019. The board has released the two separate TN MRB Nurse Recruitment 2019 notification at the official website. The recruitment will be done to the post of Nurses and Nurses (Sick Newborn Care Unit) for total 2345 and 520 number of vacancies. Latest: The last date for doing the registration to the post of Nurses has been extended. Now, Till March 13, 2019 candidates can do the registration. Scroll down to access the link. The selection of the candidates will be done on the basis of the TN MRB Nurse Examination 2019 and document verification. Check the schedule from below. From this page, the candidate will bet full information regarding TN MRB Nurse Recruitment 2019. In the application form candidates should enter the valid details. In the form, the candidates need to fill the personal, educational, contact, qualification details and need to upload the scanned photograph and signature. Candidates are hereby advised to carefully fill their application forms as there will be no changes allowed once a candidate submits the form. The candidates who will submit the form on time those for will be considered for the further recruitment process. All General and OBC category candidates have to pay Rs. 700/-. All other categories (SC/SCA/ST/DAP etc.) have to pay Rs. 350/-. Mode of Payment – There are two available modes of payment, i.e. either online or offline. For submission of the application form, candidates have to prompt to choose between either mode. Offline Mode: Through e-Challan at any branch of the Indian Bank. 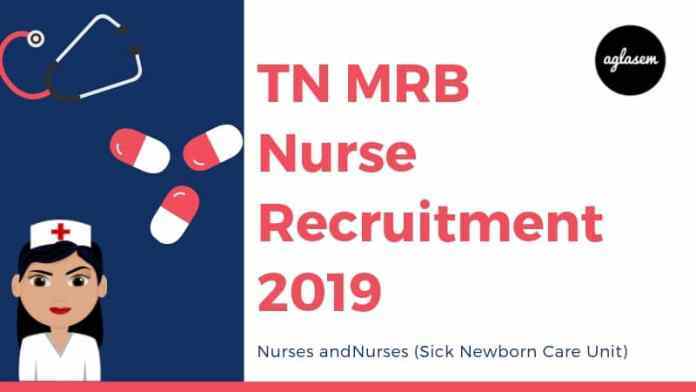 Apply Online – Click here to register for TN MRB Nurses Recruitment 2019. 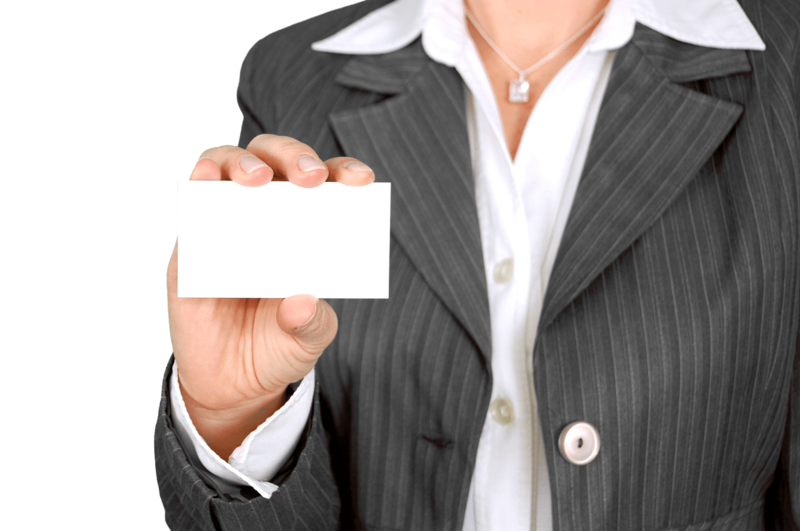 Before filling the application form candidates first should read the eligibility criteria. From below candidates can check the detailed Eligibility Criteria of TN MRB SNCU Nurse Recruitment 2019. Nationality – The candidates should have Indian Citizenship. To claim category-wise reservations, candidates have to be subjects of Tamil Nadu State. Age Limit – General category candidates between the age of 18 – 32 can apply. There is age relaxation of 10 years for reserved categories. There is further relaxation for Differently Abled person category candidates. Qualification – The candidates should have to be permanently registered as nurses with the Tamil Nadu Nurses and Midwives Council, having passed a degree/diploma in nursing. Experience – Candidates should have at least 3 years of work experience at a functioning Sick Newborn Care Unit. The recruitment will be done to the post of Nurse for total of 2345 number of vacancies and to the post of Nurses (Sick Newborn Care Unit) for total 520 vacancies. Vacancy distribution has been done on the basis of the category. From below mentioned image check the vacancy distribution. The candidates who will fill the online form on time for those admit card will be released by the board. Admit card will be made available at the official website. Admit card will contain candidates name, roll number, father’s name, exam name, center name, center code, gender, photograph, and signature. For all the candidates it will be mandatory to carry one valid photo id card (adhaar card, pan card, voter id card, passport etc.) along with a hard copy of the admit card on the day of the examination carry. Separate admit card for nurse and Nurse (Sick Newborn Care Unit) will be released. The Board holds the right to increase or decrease the number of examination centers and to re-allot the candidates (depending on the number of application and official requirements). From below candidates can check the TN MRB Nurse Recruitment 2019 Examination Center. Before starting the preparation candidates first go through the exam pattern this helps the candidates to know about the exam duration, examination mode, language, total questions, and marks etc. Check the detailed Exam Pattern Of TN MRB Nurse Examination 2019 from below. Before starting the preparation candidates should first read the syllabus this helps the candidates to know about subject topics. Syllabus plays a vital role when the candidates prepare for the examination. From the syllabus, candidates got to know about the subjects name, topics name. On the basis of the subject topics, candidates prepare their timetable for doing the preparation. Click at the below-mentioned button for checking the detailed Syllabus Of TN MRB Nurse Examination 2019. Selection will be made based on the marks obtained by the candidates in the written examination, properly following the rules of reservation and communal rotation of Government of Tamil Nadu. For qualifying, the examination candidates have to score a minimum of 35% marks (30 % marks for SC / ST / SCA). Short-listed candidates will be called for verification of the original certificates as required in their on-line application form. After the successful conduction of the examination TN MRB Nurse Result 2019 will be declared. The result will be declared at the official website and it will be containing the name and roll number of the qualified candidates. It may be possible that for checking the result candidates need to enter the login credentials. The result will be purely based on the performance of the candidate’s. 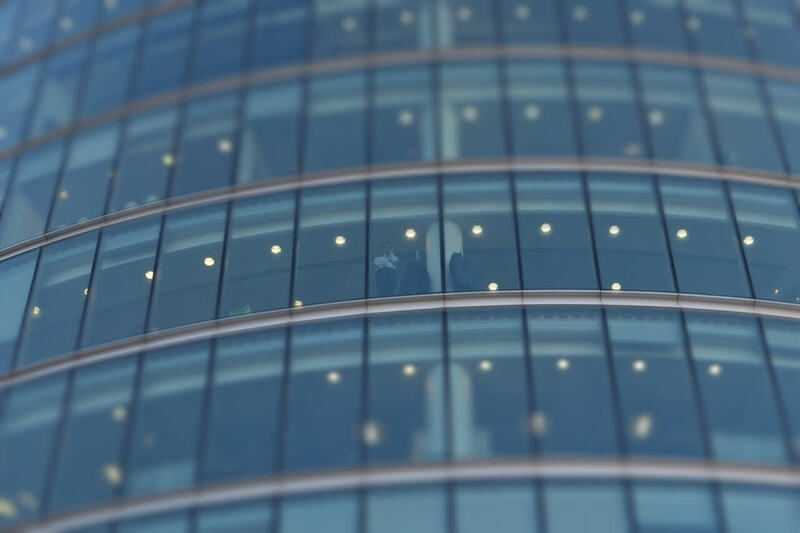 Candidates temporarily selected for appointment to the posts will be required to provide a certificate of physical fitness after their selection in the form prescribed. Separate result for nurse and Nurse (Sick Newborn Care Unit) post will be declared. For more information regarding TN MRB Nurse Recruitment 2019 Download Advertisement. For more information regarding TN MRB Nurse (Sick Newborn Care Unit) Recruitment 2019 Download Advertisement.